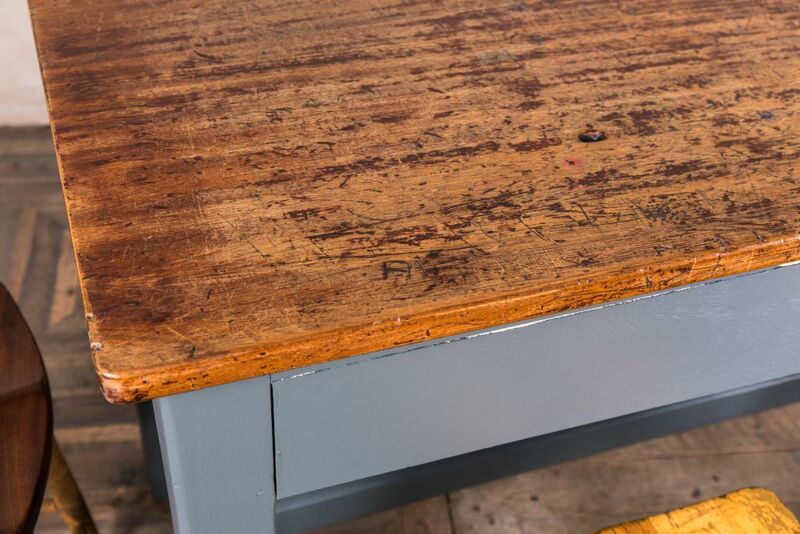 This vintage bar table has been reclaimed from a school science laboratory. 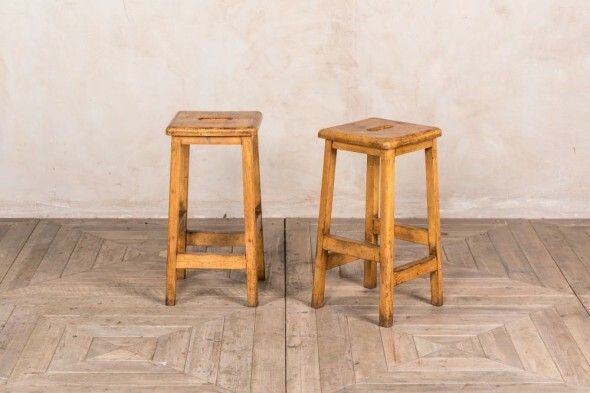 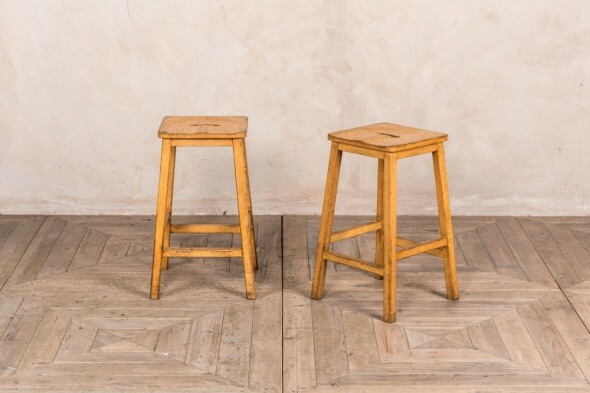 Style it with our vintage lab stools for a rustic retro vibe. 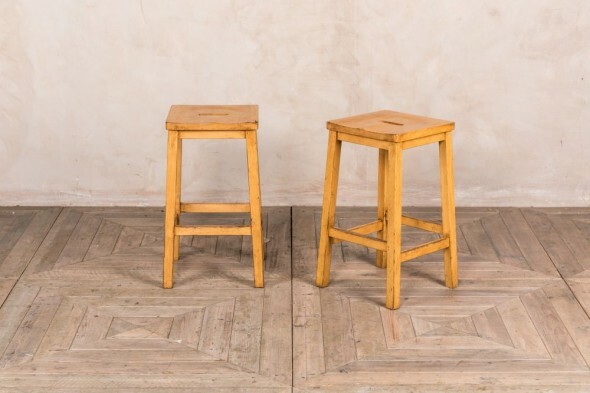 Please note that there are two sizes available; please contact us prior to ordering. The table is wooden, with a grey painted base. Through years of use, the table has acquired a distressed finish which we feel gives it a unique character. 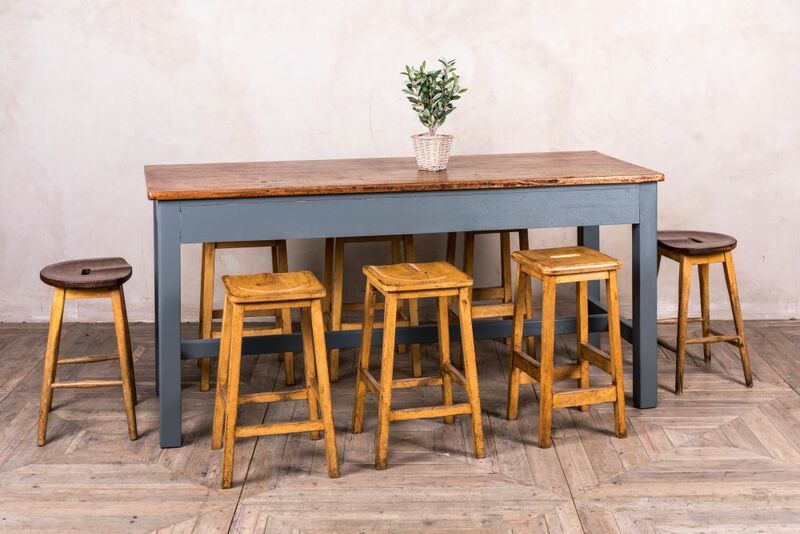 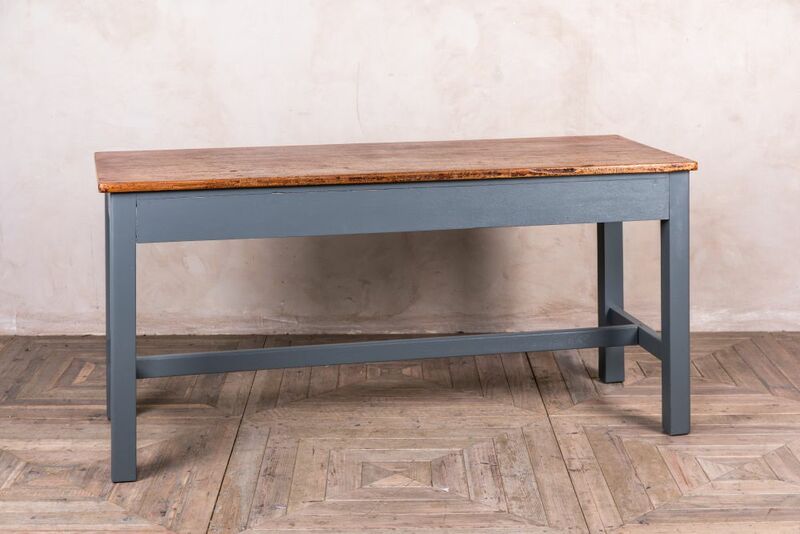 Use this table in a quirky bar, bistro or restaurant; its vintage industrial style in very on trend right now. 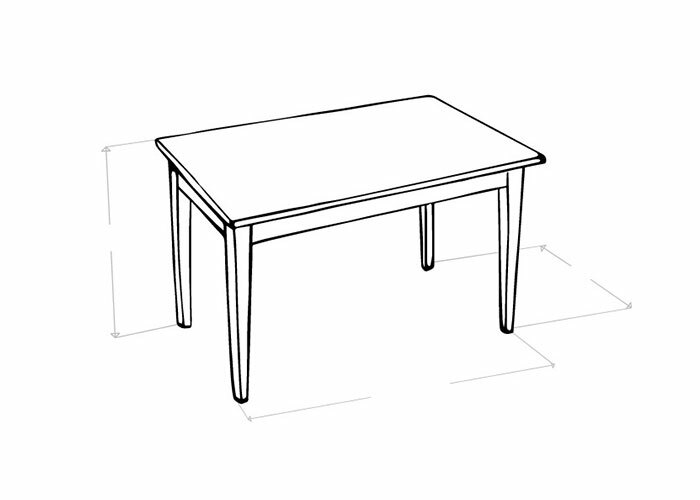 Alternatively, it would make a fantastic dining table in a home, or breakfast bar for a large kitchen. 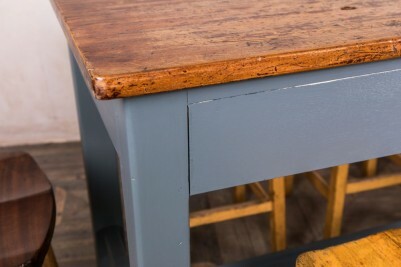 We can paint the table base in any Farrow & Ball colour. 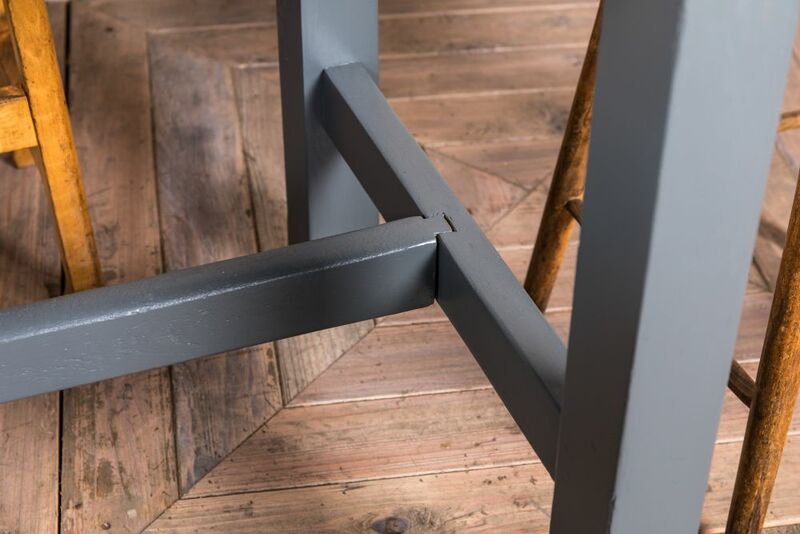 Please contact us to specify your chosen colour. This vintage lab table has experienced extensive use over the years. 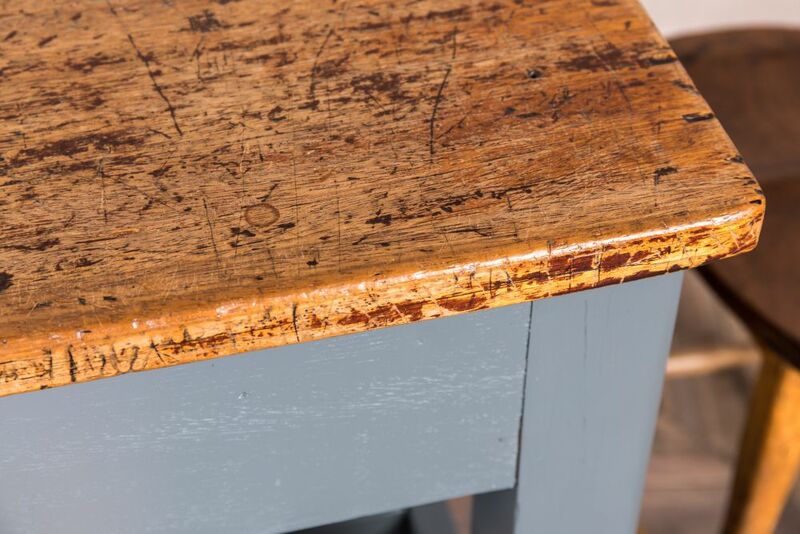 Please allow for marks of wear and tear.